My work is often concerned with the relationship between two opposites. 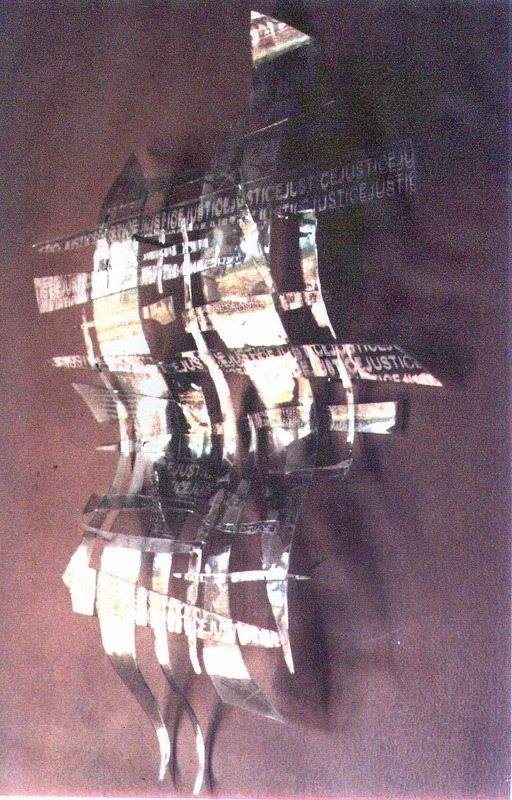 In States of Contradiction 1 – 3 three screen-printed and slumped glass works weave text and image in a warp and weft of what is said and what is done in war. 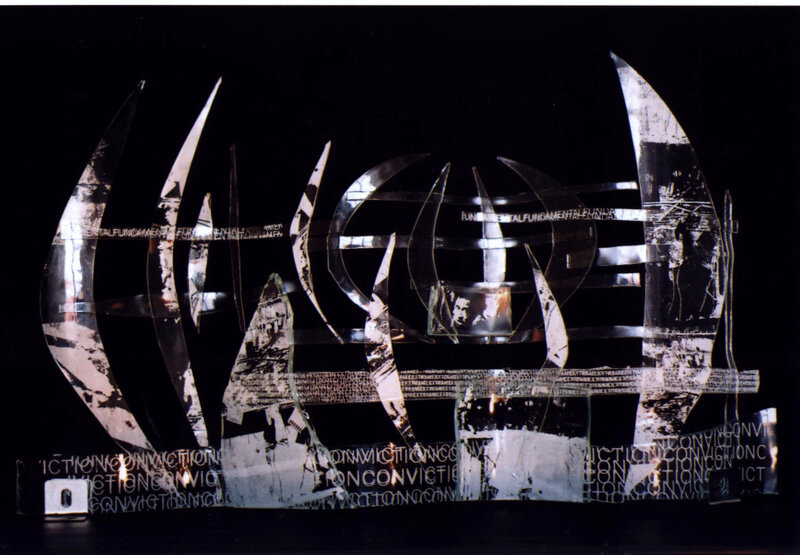 This work was selected for exhibition at the 2004 Greenbelt Festival ‘Freedom/Bound’ at Cheltenham Racecourse. 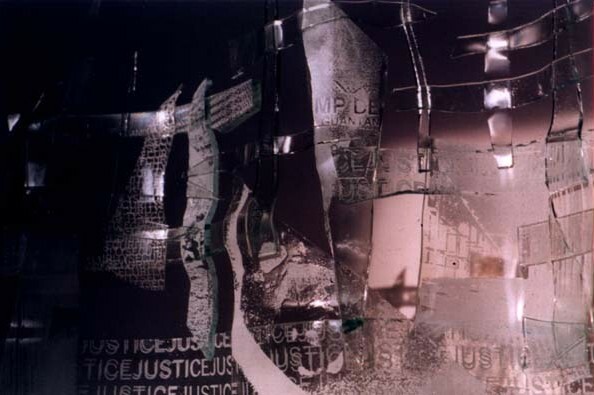 This work is concerned with ‘prisoners of war’ who are bound and confined, without due process of law and in contravention of the Geneva Convention.